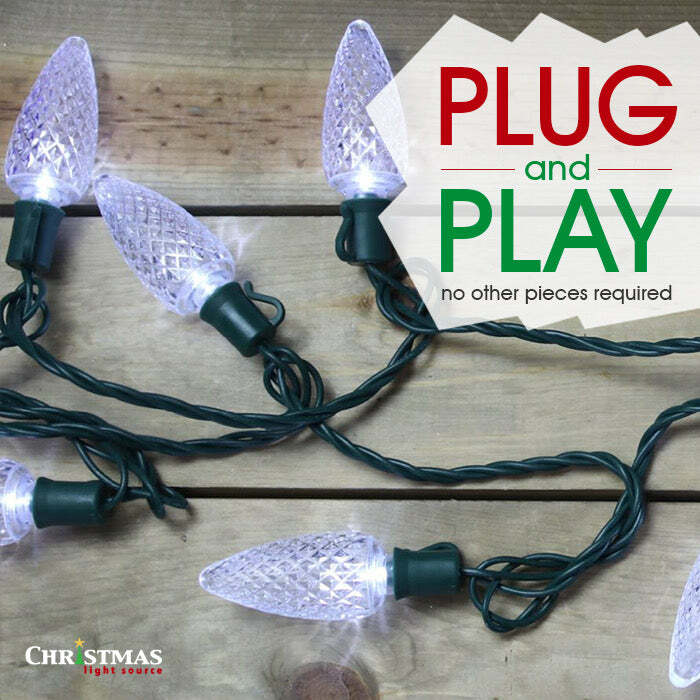 With these C9 pink LED Christmas lights you get 25 lights per string with 8 inch spacing. This setup gives you the perfect opportunity to get many uses out of them. 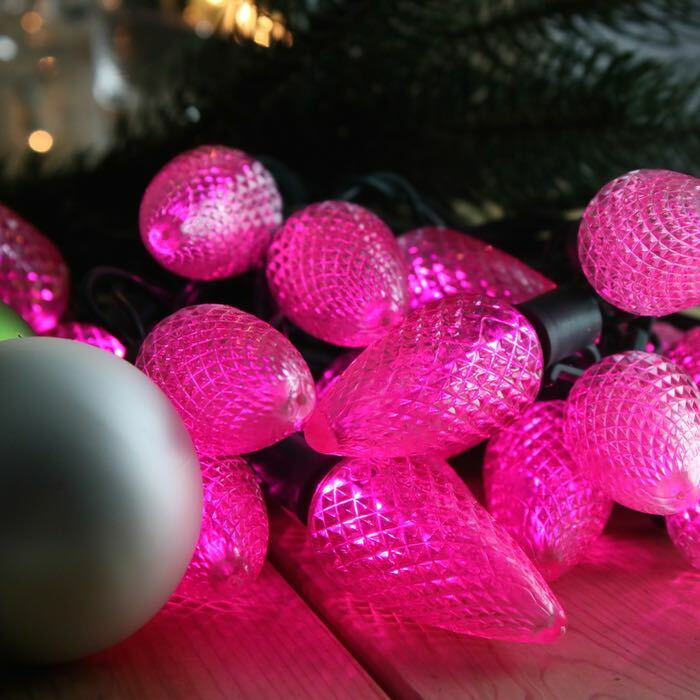 Pink C9 LED Christmas lights can make an extra special shine on your Christmas tree and other greenery. Your tree will show a unique style when you combine these pink Christmas lights with white mini-lights. We love the mix of purely feminine pink and white accented with silver or hot pink bows. Consider combining them with teal C9 LED Christmas lights and rock a 1950's themed tree. 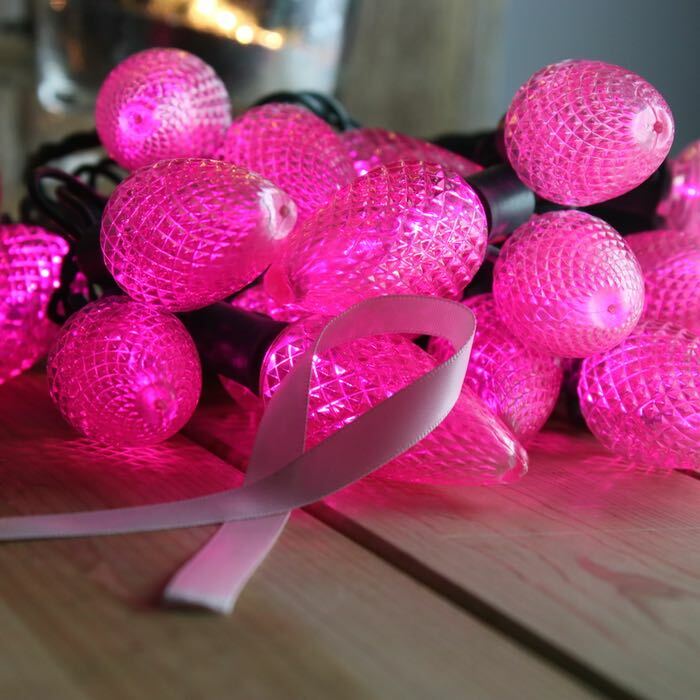 A breast cancer survivor will receive a beautiful welcome home when you light up your front door with these gorgeous lights. Q: One photo shows the light as hot pink. Another has more of a bubble gum color. Do I have a choice? These lights are the hot pink version. I've removed the photo that showed these pink light sets in a more pastel version - it was taken by the manufacturer in the presence of more ambient light. The one that I've left is more accurate of what this light string looks like in full darkness. During the day and into twilight, LED lights can have a more pastel appearance but once the sun is fully set, that more electric hot pink color is what you are going to see. Thanks for your question, I hope this answer helps.